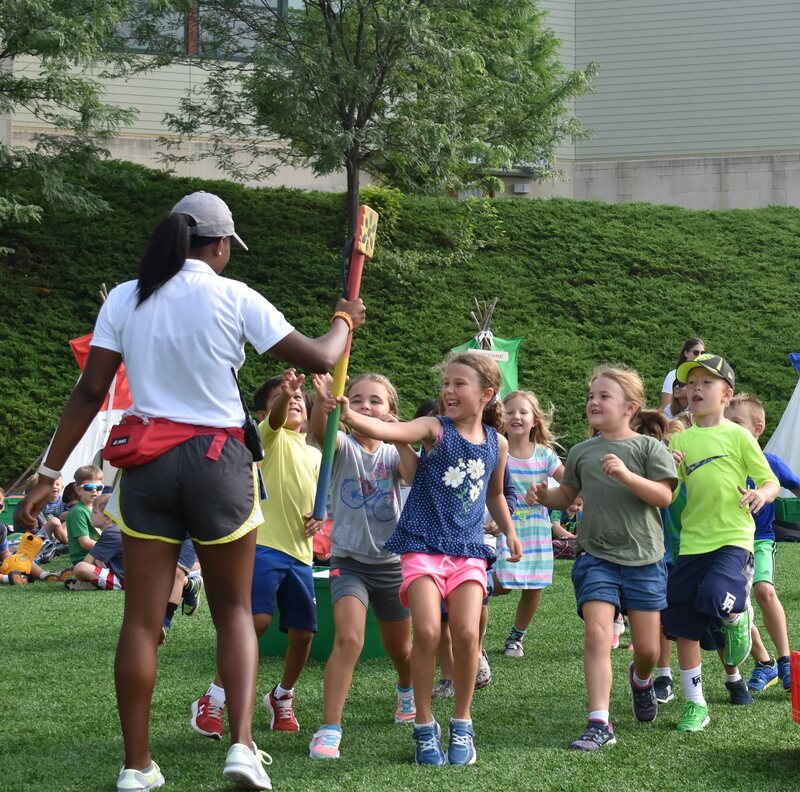 Whether your camper discovered a new interest, met a new friend, bonded with a counselor or felt that ESF was a home away from home, we know that every summer has a story. Once a week this past summer, Gracyn and I sat down in front of the computer to look through the week’s Day Camp photo album. She stopped at every couple of pictures to point out her friends, show me her counselors, and tell me stories about the activities she had participated in at summer camp. I remember a picture from morning assembly — Her group had won the Spirit Stick challenge that morning, and the picture showed her group running toward the Day Camp Director with Gracyn in the lead, a smile on her face and her hand around the Spirit Stick before anyone else. I had the chance to catch a glimpse into her summer experience, and she loved having that time to share her memories with me. My daughter, Gracyn, started as a Mini Camper at ESF Haverford three years ago, and she’s been a Day Camper at ESF Episcopal for two years. She’s six years old. On her first day of summer camp she jumped out of the car – no fear, no hesitations. Everyone was so welcoming. She’d come home at night, grab a broom from the garage and march around the yard, singing the camp songs and pretending it was the spirit stick. Most days she asked me to take her to Club OT in the morning and insisted that she stay for afternoon OT. She was at camp from 8:00am – 6:00pm, which was amazing for me as a working mom. It was great knowing that she had a place where she could just have fun. Last year she was diagnosed with Type 1 Diabetes. No one in our family has had it, and I didn’t know anyone else who has had diabetes. I had no clue how much this would change our lives. Regulating her blood sugar turned into a 24/7 job for her father and me. She was diagnosed at the Children’s Hospital of Philadelphia during her first summer at ESF Episcopal. Even though she wears a device that continuously sends her blood levels to an app on my phone so I can monitor her, I was worried about sending her back to camp. That’s when I learned the value of the camp nurses. Every ESF site has multiple nurses on campus at all times, and I can’t express how valuable it was to always have a medical professional there to take care of her. I could see Gracyn’s blood sugar is low and call Nurse Karen at any time saying Gracyn is 110, double arrow down. She’d get on the walkie talkie and within minutes, Gracyn would be in the nurse’s office with a counselor and a friend in tow so she never felt alone. The diagnosis is still so recent that I’m learning something new every day, and the camp nurses have not only been instrumental in helping me understand my daughter’s medical needs, but they’ve also starting educating Gracyn on how to take care of herself—what it means to have low and high blood sugar, what signs to look out for and even how to administer her own medication. She’s going to live with this disease for the rest of her life, and I want her to be educated on it. Having that extra support this summer meant so much, and it made us both feel safe. After everything we’ve gone through this year, after all the doctor’s appointments and trips to the hospital, it was amazing to know that she could spend the summer just being a kid. She got to swim, play sports, perform, create art, learn science, make friends and do everything a kid should do. She’s been through so much, but she’s strong and resilient. She’s amazing, and I just want her to be healthy and happy. I want her to have a normal childhood, and it’s so heartwarming to see that at camp, she’s just like everyone else. 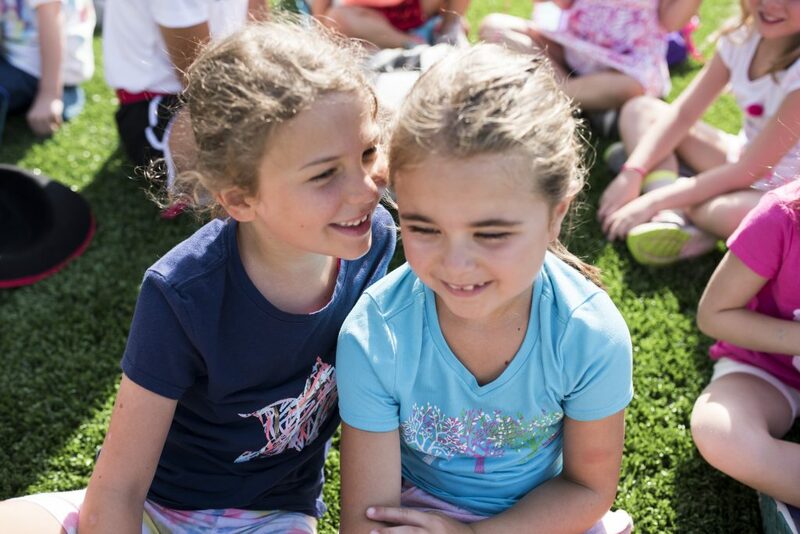 Did your camper master a skill, discover a new interest, make a friend or bond with a counselor or coach? At ESF, we know that every summer has a story. We want to know yours! 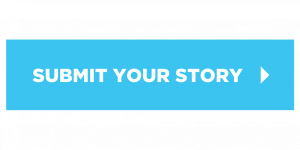 Submit your story here!